I will be teaching a book repair workshop in Union Springs, New York! Do you have a favorite book that is falling apart that you would like to fix? 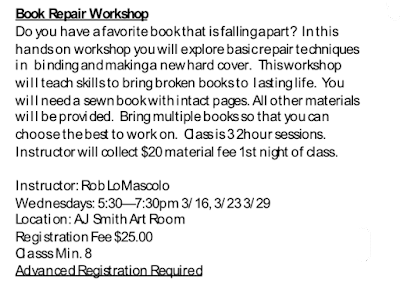 In this hands-on workshop we will explore some basic repair techniques, and you will get to make a new hard cover and rebind one of your own books! We will discuss ways to add structural strength to a book, as well as why books tend to fall apart in the first place. The emphasis of this workshop will be on giving you the skills and knowledge to bring broken books back to a lasting and functional state. 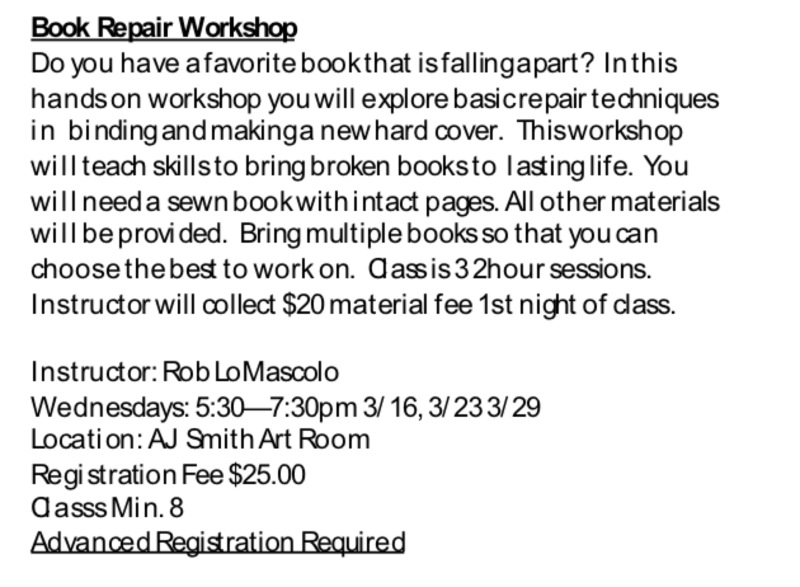 For the purposes of this workshop, you will need a sewn book with intact pages. All other materials will be provided. Books with missing spines or detached covers are fine. I encourage you to bring multiple books so we can choose the best candidate. I will also have a few old books freely available should you need one. 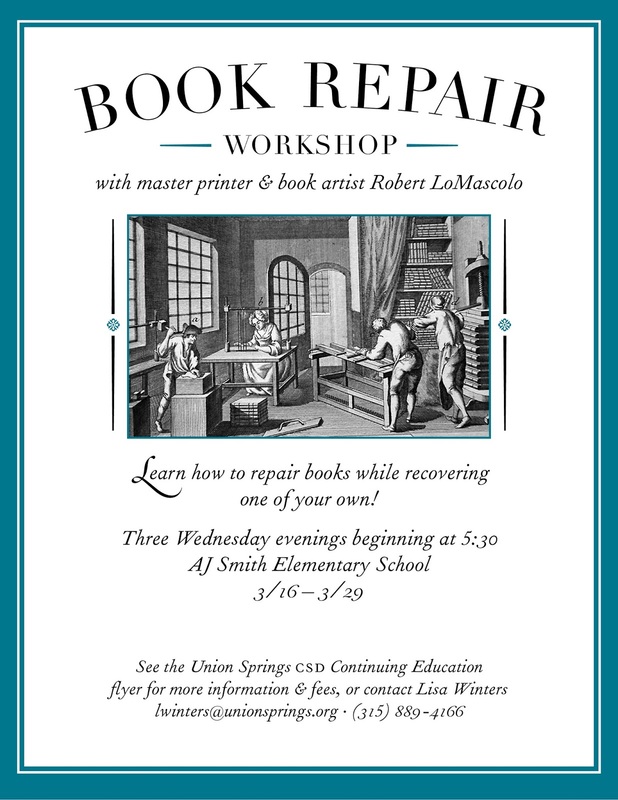 This workshop will not focus on restoration, or restoring a book to its original appearance, so family heirlooms or otherwise valuable books are not good candidates, but you are welcome to bring them to discuss.